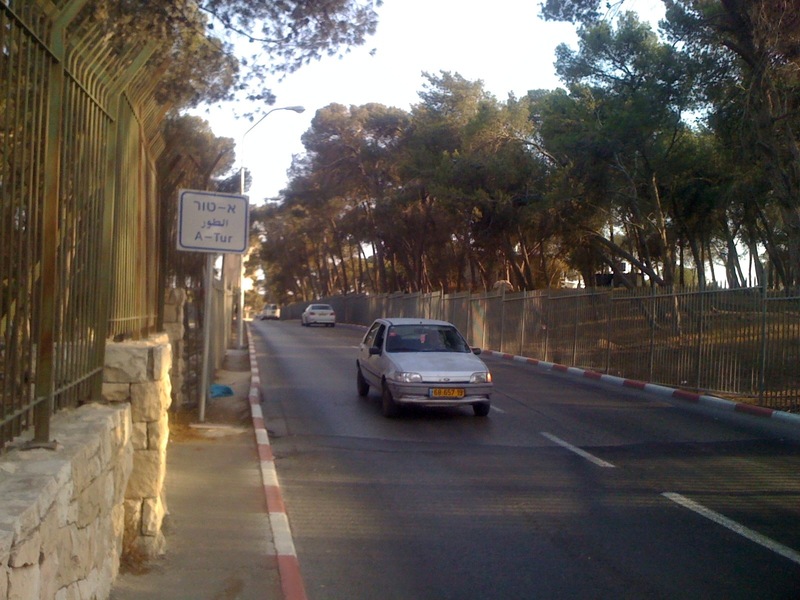 The road from Hebrew University on Mt. Scopus to the Augusta Victoria complex on the Mount of Olives has no sidewalk. Yet another challenge to Jewish-Christian relations in Jerusalem? There stands a significant barrier between Israeli Jews and Israeli Palestinian Christians learning about each other’s traditions. Each side sees itself as a minority, indeed a double minority. Today I spoke with Ms. Hana Bendcowsky, the Program Director for the Jerusalem Center for Jewish-Christian Relations. Ms. Bendcowsky noted that Israeli Jews see themselves both as Jews in a majority Christian Western world and as Israelis in an Arab region. Israeli Palestinian Christians see themselves as Palestinians in the Jewish Israeli state and as Christians among the majority Muslim Palestinians. For each, this double minority status can give them permission not to listen to the other. What to do? For Ms. Bendcowsky, the work moves through personal connections. She needs to get to know Jewish Israeli teachers, principals, tour guides, and army educators individually. They come to understand that she is an Israeli Jew with no agenda to convert them or their charges. She also needs to get to know Israeli Palestinian Christian principals, teachers, and community leaders. They come to realize that she is not seeking to expand Israeli dominance further into their lives or to divide them from their fellow Palestinians. Excitingly, JCJCR has been able to work with groups that would not otherwise have learned about “the other.” They have set up partnerships between Jewish and Catholic schools were not at the beginning oriented toward diversity. In these schools some teachers and principals, she reports, have become enthusiastic supporters of learning about each other’s communities. In some of their work in teachers’ colleges Ms. Bendcowsky has seen teachers in training go from complete ignorance about other belief systems to excited fascination with the parallels and divergences between their tradition and those of others.